Before you send that email, don't be "that guy"
I live on a quiet side street off of a heavily traveled thoroughfare. Traffic is often backed up for blocks, depending on the time of day, so more often than not I face a pet peeve daily: drivers who don’t leave a gap in front of their cars to accommodate traffic turning left. If I need to turn left onto my street at rush hour, there’s invariably someone stopped right there, obliviously blocking me from getting home. “There oughta be a law…,” I mutter to no one as drivers behind me try to creep around my waiting car. But about a week ago, it shames me to write, I was that oblivious driver blocking a side street and keeping someone from making a left. It couldn’t have been more than half a minute before traffic started moving again, but it was half a minute of me being so embarrassed and crestfallen to be “that guy”. Nobody wants to be that guy. 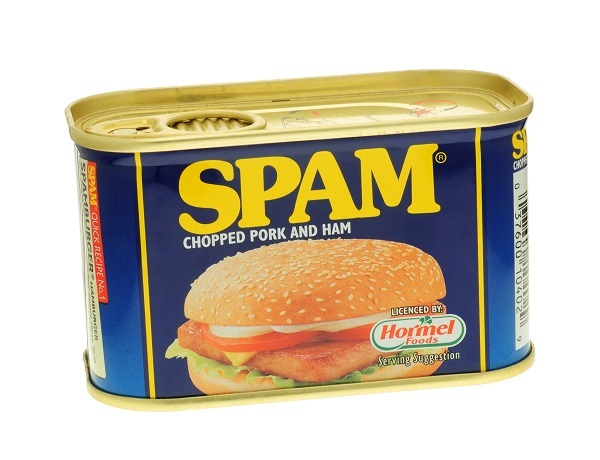 In the spirit of decent people not wanting to be that guy, we want to tell you about spam. Our email blast system is a terrific tool to build relationships with leads and keep in touch with patients post-treatment. But relationships can be greatly damaged when receiving an unwanted email campaign leaves a bad taste in a recipient’s mouth. We want to make sure your efforts to reach out to people are as successful as possible and are taken in the spirit in which you make them, so we present to you the guidelines below (taken from the company that made the email campaign software) for compiling lists of email addresses. It’s not only good to do in the golden rule sense, it’s also entirely practical to not send email to a person who’s likely to tell gmail or msn that your messages are unwanted. In fact, the more people mark your email as spam (and it doesn’t take very many), the more you can expect that the email servers automatically deliver your message to everyone’s spam folder. And too many spam complaints can bar you from using the email campaign software, so please look over the following, and, as always, let us know if you have any questions. These email addresses MUST BE opt-in email addresses. •Any purchased list of email addresses from ANY source no matter what that source claims. •Any non-specific email addresses unless you know the recipient and permission is clear. Examples of these addresses are postmaster@somedomain.com, info@somedomain.com, webmaster@somedomain.com, sales@somedomain.com and business@somedomain.com. •Any distribution lists or mailing lists, i.e. email addresses that mail to more than one email address. Distribution lists send to more than one individual and permission has not directly been given by all individuals - past and future. Sending to one of these lists increases the likelihood of spam reports. •Adding and importing names that go against these rules and our Anti-Spam Policy may result in the immediate termination of your account. Be sure to review our guidelines and the Permission Confirmation Checklist before importing addresses into your account. But they contacted me on my website? Sorry, but that is a no too. Sending in a question or comment isn't the same thing as opt-in permission. Even if your website form says "send me more information" it does not mean you can add them to a mailing list. It means you can send them specific information as requested. If they asked for info on an elective or if they were a candidate for a service, you can email on that. Unless your contact form clearly displays the option to opt-in for a mailing list, and people do opt-in, you do not have permission.